If there's one thing good about Subic Bay being a former American military base, the rain forests are very much intact. 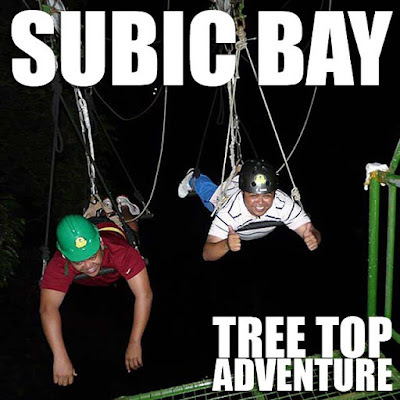 Subic Tree Top Adventure is one way you can appreciate the forests of Subic Bay. This attraction is a series of suspended trails, bridges and motorized cable rides built high up the rain forest of Subic. We visited Tree Top Adventure in the evening. I was a bit skeptical since it would have been really dark unless they installed ample lighting. But it turns out, doing it in the evening can be fun too. And no need to worry about the heat of the sun. We got to try their zip-line called the Superman Ride since you are suspended face down and feet up. That was fun! There are a lot of activities there including the Tree Top Adventure (Canopy Walk and Canopy Ride) which I already mentioned (Php350), Ultimate Adventure or Superman Ride (Php200), Trekking Adventure (Php100) which is simply a walking trail around the rain forest, and the Tree-Drop Adventure (Php150) which is rappelling down the side of a 60-foot tree (try the daring Australian style which is face first). They have various packages. But if you want to try everything, take Package F (Php720). 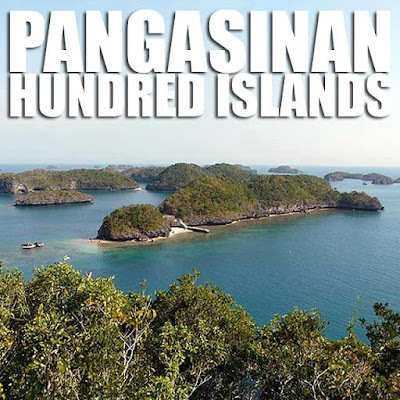 Hundred Islands in Alaminos, Pangasinan is for me, Pangasinan's best beach attraction. While other beaches such as Patar Beach in Bolinao and Tondol Beach in Anda are equally great, there's more to do at the Hundred Islands than simply frolicking under the summer sun. For one, there are a lot of islands to explore, over a hundred of them in fact. The two most visited islands would be Governor's Island (which has a view deck with a great view of the Hundred Islands and the Big Brother House) and Quezon Island (with its many water activities and rental facilities). 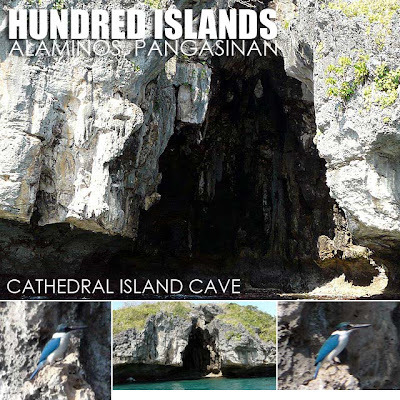 During our boat tour around the Hundred Islands, we got to see some unique islands including Bat Island, host to a population of nocturnal fruit bats, and Cathedral Island, with its large cave. 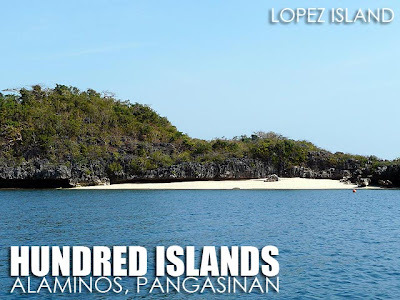 We also saw several islands with secluded beaches which you could have all to yourselves, such as Lopez Island, where one could stay for the day without much fuss from other visitors who usually troop to Quezon Island. On weekends, you might have to choose some of the lesser known islands for your own private beach. 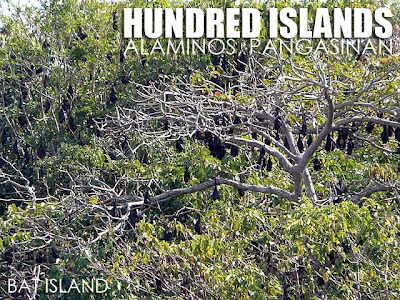 Quezon Island is where most of the facilities are including picnic pavilions, huts and kayak and snorkel rentals. There's good snorkeling around the island. 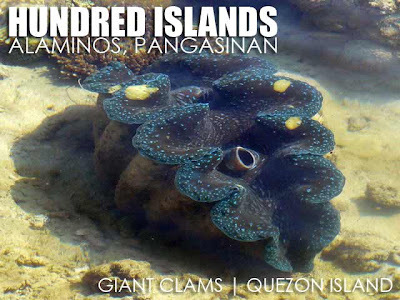 Notice the giant clams around the area which are a result of the giant clam seeding project at the Hundred Islands. We had a wonderful lunch at Quezon Island hosted by Dir. Martin Valera of the Department of Tourism. If you want to have a picnic lunch as well, our caterer was Gemma (0919) 6520570. 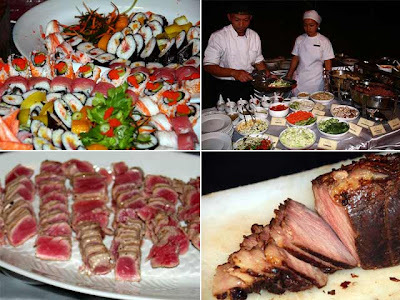 She prepared a sumptuous spread of seafood, grilled pork, vegetables and seaweed, and fresh fruits for dessert. After watching Day 1 of the 15th Philippine International Hot Air Balloon Fiesta, I found myself back for Day 3 for our Ultimate Philippines tour. Our bus left Makati at 3 a.m. and we we're in Clark a little before 5 a.m. It may seem early but it was just right since people were already starting to arrive. In fact, just a few minutes after, crowds started to enter the venue and the ticket line stretched all the way to the street! It wasn't as sunny as the first day but it was a great show nonetheless. Just like Day 1, the hot air balloons were gone by 7 a.m. After exploring the grounds, we left for breakfast. 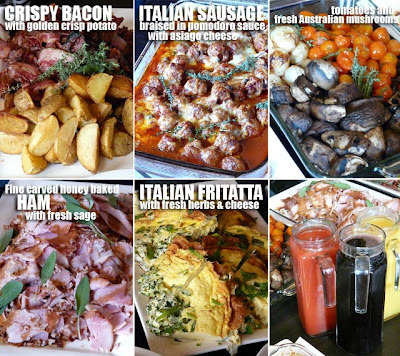 And just like last year, we had breakfast at C' Italian Dining. 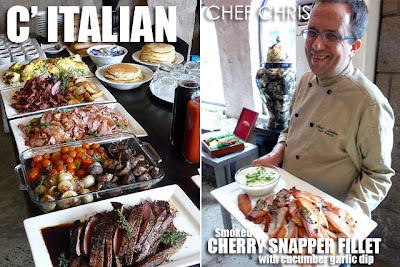 While the restaurant opens at 11 a.m., Chef Chris always makes an exception every year for our group. 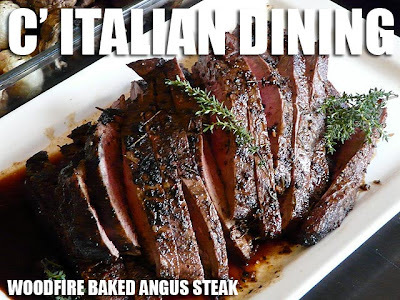 On the menu this year was (1) wood fire-baked angus steak with roasted onion, tomatoes and fresh australian mushrooms, (2) fine carved honey-baked ham with fresh sage, (3) crispy bacon with golden crisp potato, (3) Italian sausage braised in pomodoro sauce with asiago cheese, (4) smoked cherry snapper fillet with cucumber garlic dip (5) freshly baked pancake with maple syrup, (6) Italian fritatta with fresh herbs and cheese, (7) freshly baked assorted breads, (8) assorted jams and butter, and (9) orange, grape and tomato juice. Yummy! On the way to Clark, I noticed Ayala's Marquee Mall which looked quite interesting. Next week, when I go back home to Pampanga, I plan to visit Ayala's Marquee Mall in Angeles City. 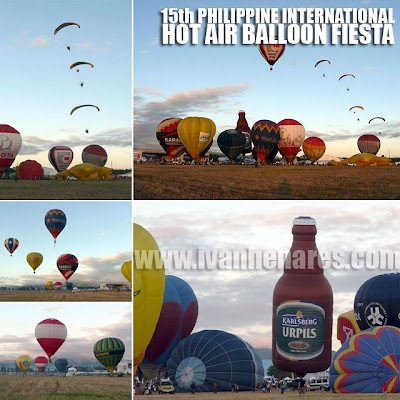 The 15th Philippine International Hot Air Balloon Fiesta kicked-off last Thursday. It's one of those festivals which get people up really early since the hot air balloons are all gone by 7 a.m. Well, it got me up before the rooster did! 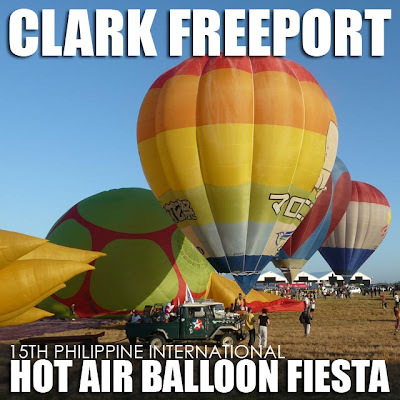 I was in the Clark Freeport shortly before 6 a.m. and the parking lot was already full. And to think it was Thursday. I could just imagine the crowd tomorrow when I go back for Day 3. The reason they do it really early in the morning is because the weather conditions are usually best at that time for the hot air balloons to fly. 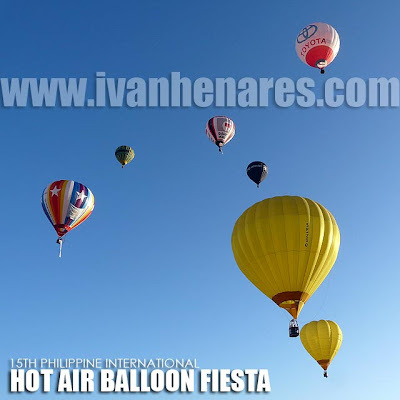 While there are so many other activities and exhibitions during the day, the highlight of the festival are the balloons no doubt. After the flag ceremony where paratroopers from the Philippine Military bring down the Philippine flag from the sky, the hot air balloons are inflated. It takes quite a while. They have to fill it up first with cool air using a fan. And one it takes shape, they pump in warm air using flares. It's fun seeing the balloons in various shapes. 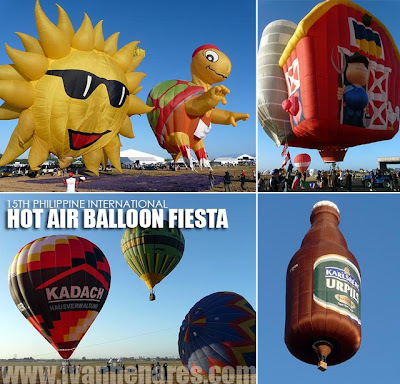 For the 2010 Hot Air Balloon Fiesta, there was one shaped like a beer bottle. Another was Old MacDonald's Farm. There was a yellow sun with a smiling face. And yet another was shaped like a turtle. If you missed yesterday and today, you still have the weekend to catch the colorful hot air balloons. 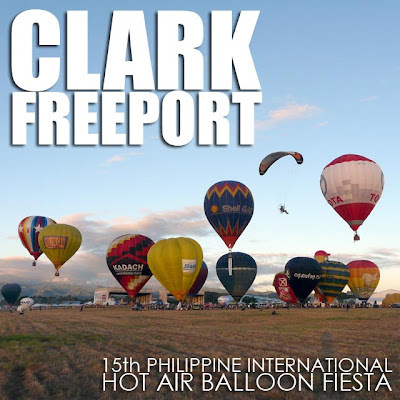 You have to be in the Clark Freeport in Pampanga by 5:30 a.m. if you want a good spot to watch these hot air balloons take off. So it's best to leave Manila by 3:30 a.m. I noticed in this year's schedule that they have hot air balloon flights in the afternoon of Saturday. A spectacle you should also check out is the weekend night glow activity during sunset when the balloons are lit up like giant light bulbs with the flares. Many people ask if you can ride the hot air balloons. Well, don't count on it. It's difficult to get a slot. Make that close to impossible. 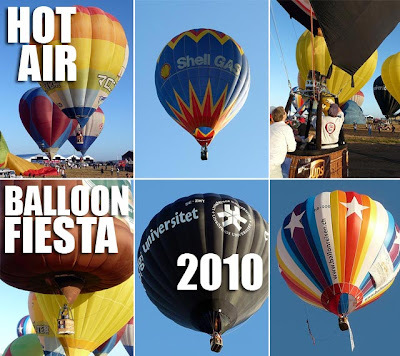 You can opt for the stationary hot air balloon which takes you up in the air up to about 50 feet. But that's just about it. Entrance fee to the festival for this year is Php150 per head. Here's the 2010 schedule. Anyway, time to troop to Ayala's Marquee Mall! Benguet: Baguio reinvents itself as an adventure destination! 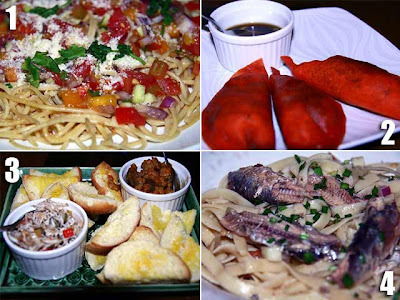 Are you sure you've seen the best of Baguio? Think again! 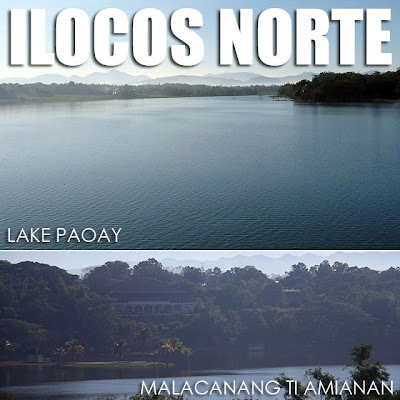 Baguio is now promoting itself, together with its neighboring towns, as an adventure destination. 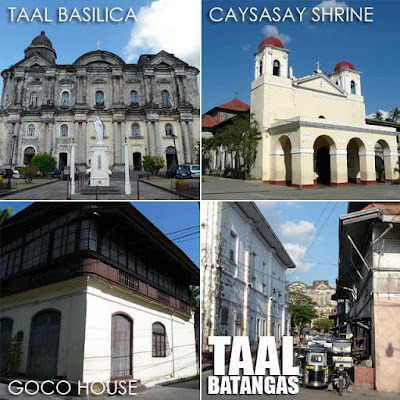 These Benguet towns are collectively called BLISTT (Baguio, La Trinidad, Itogon, Sablan, Tuba and Tublay). 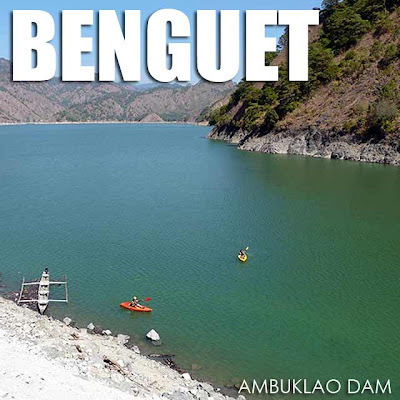 Add Bokod, Benguet to the list as well, with Ambuklao Dam. With Baguio as a jump-off point, you can kayak or river surf at the Ambuklao Dam and Tuba, visit the Balatoc Mines in Itogon, go rock climbing, river hiking, bouldering, rappelling, or ride an ATV in Camp 3, hike up Mount Pulag in Bokod and Kabayan, fish by the Agno River, or go spelunking at the Ambongdolan Caves in Tublay. 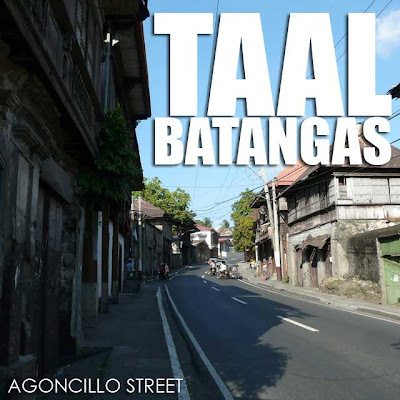 Baguio City itself is also becoming a major airsoft destination. There are simply so many choices! 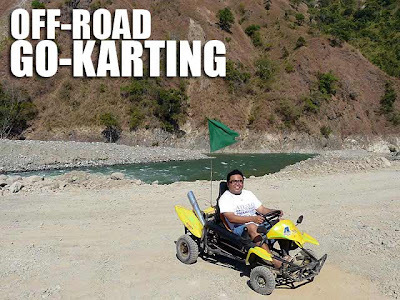 We went off-road go-karting along one of the rough roads by the Agno River. If we had more time, we could have tried out more stuff. 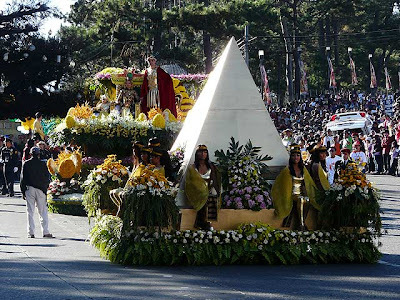 All this is being organized by the Baguio Convention and Visitors Bureau (BCVB). And what's good about this new service is you can plan an adventure with style, with your own butler and waiters setting up alfresco dining for you! They even had a bar for the group! Baguio's adventure tours are still in its infancy. And it's exciting to see how this develops. I hope I get to visit again to really try all of these cool activities. 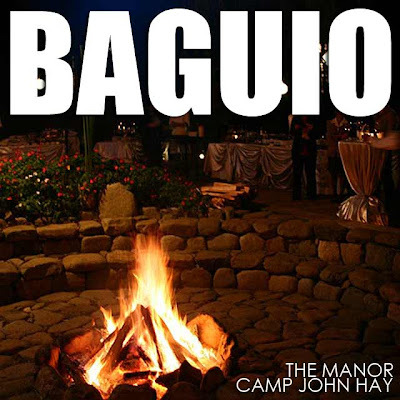 Baguio: The Manor at Camp John Hay prepares a dinner feast! 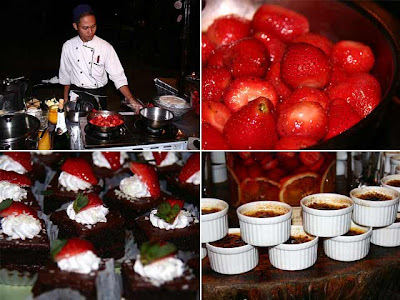 The Manor at Camp John Hay served the most memorable dinner during the entire Lakbay Norte trip. You have to give it to the Baguio Convention and Visitors Bureau (BCVB) for preparing a feast for us. And welcoming us to the dinner was none other than Baguio City Mayor Reinaldo Bautista, Jr.
Also there to welcome us was Atty. Damaso Bangaoet, Jr., the father of the Panagbenga Festival which is being held this month. 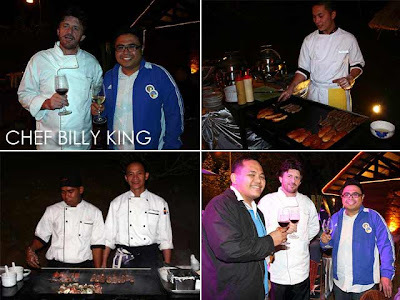 And to make sure the food was nothing but perfect, renowned chef Billy King, the man who brought Le Soufflé to Manila and now the secret behind the gastronomic magic of The Manor in Camp John Hay's Le Chef Restaurant, personally supervised his staff of chefs and waiters. It was indeed a grand selection that included soup, salad, sushi and sashimi, juicy roast beef slices, grilled meats and vegetables on skewers, bowls of Mongolian barbecue, home-made sausages with salsa, and irresistible desserts (it was strawberry overload), more than enough to fill our stomachs. After our third or fourth servings, we all gave up! For the night, I also stayed at The Manor. The rooms were spacious, cozy, and nicely layed-out. I wish we could have slept longer. But we had to be up early the next day. Breakfast would have also been a feast! 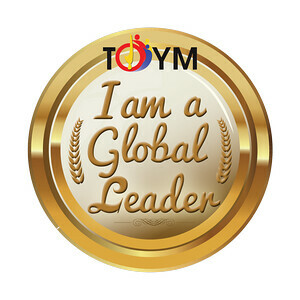 But I wasn't able to enjoy it due to our tight schedule. 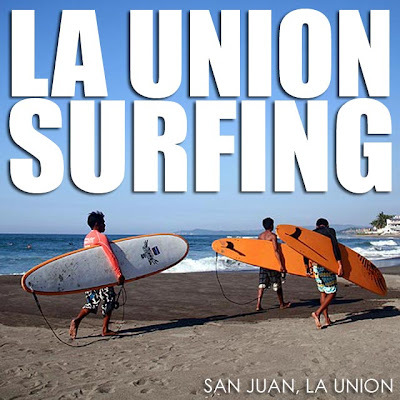 San Juan, La Union has become very popular because of surfing. And one of the better places to learn is the Billabong Surf School of the San Juan Surf Resort, popularly called the Surf Camp. Right after a great morning in Ilocos Norte, we went straight to La Union for surfing lessons. And training the group was Luke Landrigan himself, Asian Beach Games silver medalist and owner of the Billabong Surf School, together with his pool of local surfers. It's obvious the group had a lot of fun! Lessons at Surf Camp are Php400 per hour, inclusive of board rental. You can call them up also for accommodation. Aircon rooms start at Php1,260. 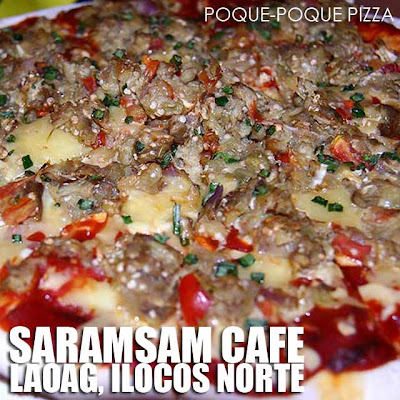 Fan rooms are start at Php650. 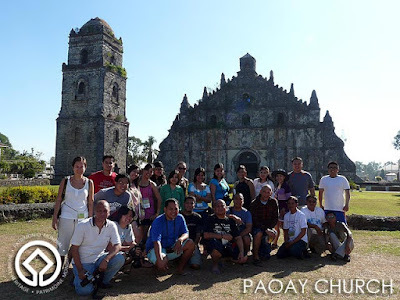 Paoay Church is a UNESCO World Heritage Site and a must-visit when in Ilocos Norte. After the exciting 4x4 ride and sandboarding at the Ilocos Norte Sand Dunes, and a brief stopover at the Lake Paoay View Deck, we proceeded to the Paoay Church. This fortress-like church, rising like a mirage in the middle a vast square, is so unique in the country since its heavy set buttresses and finials give the church a silhouette similar to Asian temples. It is also considered by art critics as the pinnacle of earthquake Baroque architecture. 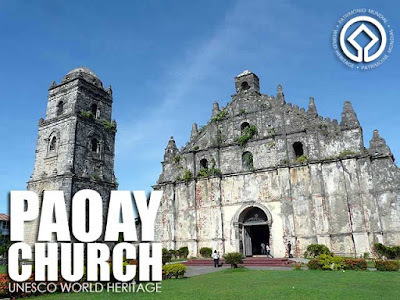 The construction of the Paoay Church began in 1694 and was completed sometime between 1702 to 1710. 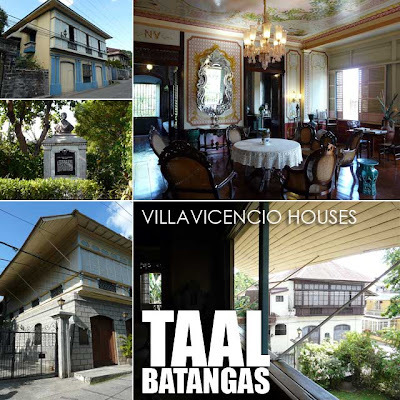 It was damaged on several occasions and repaired in 1865 and from 1889 to 1896, with its rededication at the onset of the Philippine Revolution. Church expert Regalado Trota Jose mentions in his book that Paoay’s ceiling was once painted with murals similar to that of the Sistine Chapel in the Vatican. This however is no longer in existence today since one would only see wooden trusses as well as an exposed roof. Indeed, the Paoay Church stands as a testament to the immense creativity and ingenuity of the Filipino craftsmen who built its massive walls. It serves as a reminder for the current and future generations of Filipinos that heritage must be preserved and valued if we are to move forward as a nation. 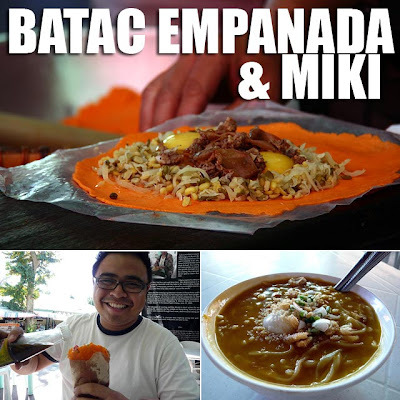 After taking photos, the group proceeded to Batac for an empanada and miki breakfast. I always look forward to munching on Batac empanada everytime I'm in Ilocos Norte. 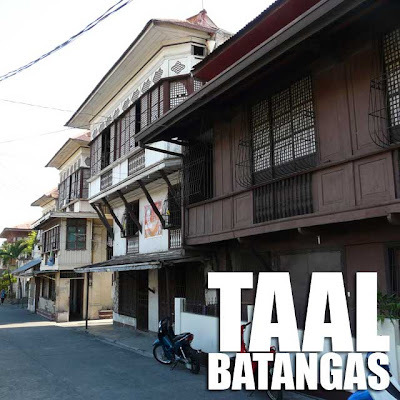 Check out Dissecting the Batac and Vigan empanada. Ever heard of sandboarding? 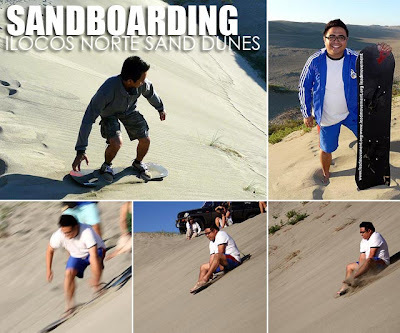 Sandboarding is the newest adventure activity in Ilocos Norte, which has its very own desert of sorts - the Ilocos Norte Sand Dunes. 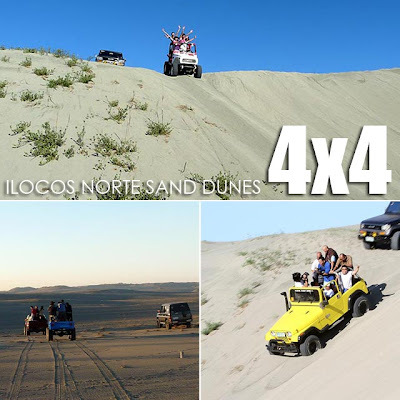 An already popular activity are 4x4 jeep rides in the Ilocos Norte Sand Dunes. We were supposed to ride into the sunset on 4WD jeeps. But since we arrived late from Pagudpud, we rode the jeeps in the dark which was a fun experience too. But we definitely couldn't sandboard in the dark. So we decided to wake up early in the morning to do it. The next day, we were at the sand dunes in Paoay before sunrise. It was an experience riding the jeeps through the sand dunes. You could hear screams of excitement from the group as the drivers went full speed through bumps and up hills. Our drivers parked by the slope where we were going to sandboard down. Sandboarding is very similar to snowboarding. The only difference is that it's done on sand dunes rather than snow-capped hills. So you can do it anywhere there are sand dunes. While most people sandboard down the dunes standing-up, like in a skateboard, our guide tipped me that it's faster sitting down. So I gave that a shot too and enjoyed the fast slide down. Others do it lying down on their stomachs as I've seen in some videos, which looks equally thrilling too. The first time I saw sandboarding was when I visited Mui Ne, Vietnam. It's a good thing the LEAD Movement introduced sandboarding in Ilocos Norte. 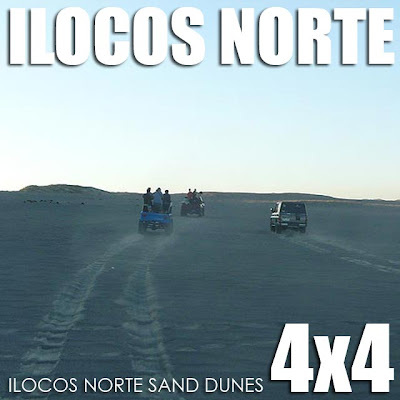 It costs Php2,500 per hour for a maximum of four persons, transportation included, if you want to sandboard in the Ilocos Norte Sand Dunes. But please check since prices may change. It's definitely an experience! Thanks to Bong Bajo and Bikoy for the photos! 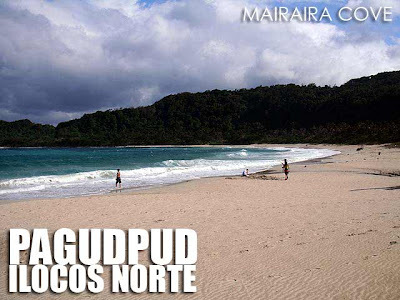 Mairaira Cove in Pagudpud, Ilocos Norte is one of the more picturesque beaches of North Philippines. It's also called Blue Lagoon because of the deep blue waters of Mairaira, especially when viewed from the top of the hill as you enter or exit the cove. 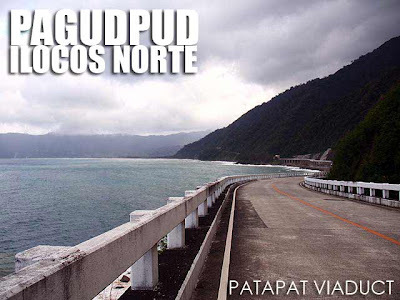 I did not realize that the trip from Tuguegarao, Cagayan to Pagudpud, Ilocos Norte would take that long. It should be about five to six hours (we did 8 hours because of the church stops). 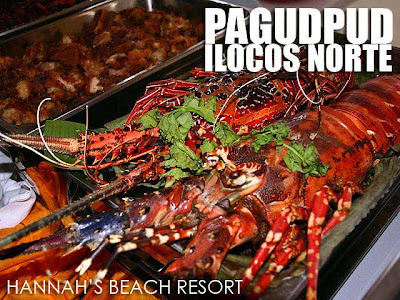 We had a late lunch at Hannah's Beach Resort which is the only resort right in front of Blue Lagoon. The location of the resort is thus very convenient. And it's one of two resorts in Mairaira Cove I would recommend to tourists. But as I told one of the managers, they should add more trees since it's all concrete. The resort needs to blend in more with the surrounding environment. And given that it can accommodate really large groups for seminars and conventions, I hope they could improve the design, lay-out and feel of the place. People in the group noted that it looked more like a housing development (think Camella Homes) than a resort. Anyway, lunch was an offering of local Ilocano fare. On the buffet table were two really large lobsters, the largest I've ever seen so far, which we were told, were caught in the local waters.